Taking on powerful people is always a dangerous thing. Taking on corrupt members of law enforcement, who have the ability to completely ruin a person's life, is a whole other level of dangerous. As we have seen through the Oust Sheriff Arnold campaign, Robert Arnold and many of those around him were not average. Average law enforcement officers and average people are honorable, decent, and kind. Arnold and company lied, manipulated, stole, and cost tax payers vast sums of money. Arnold is now serving 50 months in prison, his chief deputy Joe Russell pleaded guilty to counts related to the JailCigs case, Arnold's cousin James Vanderveer (who also tortured inmates) has been fired, the homophobic Major Terry McBurney, who was born in Ireland, pleaded guilty to unlawfully obtaining US citizenship, and now, Nathan Pagel (who was in charge of the Warrants and Records Division) has been fired for conducting illegal background checks against people Arnold didn't like. 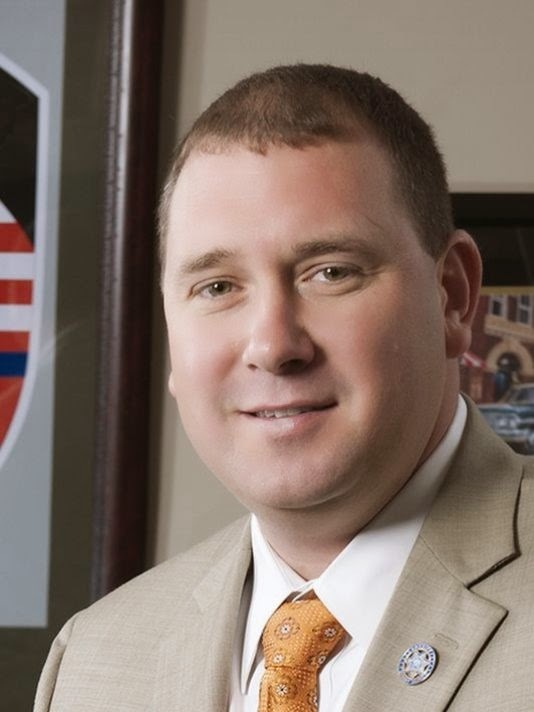 The Murfreesboro Post article about Pagel says he conducted background checks against "top county officials", however, the story (as it pertains to Pagel) could go deeper than that. In light of this new story, I feel the time is right to share these untold stories. I want to make it clear that Axl David, Adam Williams, James Gann, and Joe Liggett have given me permission to use their names and the information they have told me. Myself (Jacob Bogle) and other member of Tennesseans Against Corruption were the target of harassment, hacking, and threats throughout the two years it took to go from filing an ethics complaint to Arnold sitting in prison. We sought advice from the FBI and TBI, but because our main focus was ousting Arnold due his dealings with JailCigs, and to not cause a delay in that suit, we did not discuss these events publicly. The first untold story deals with TAC as a whole. When we began we had a group discussion thread on Facebook. Only people who were actively involved had access and everyone knew everyone else in the group. 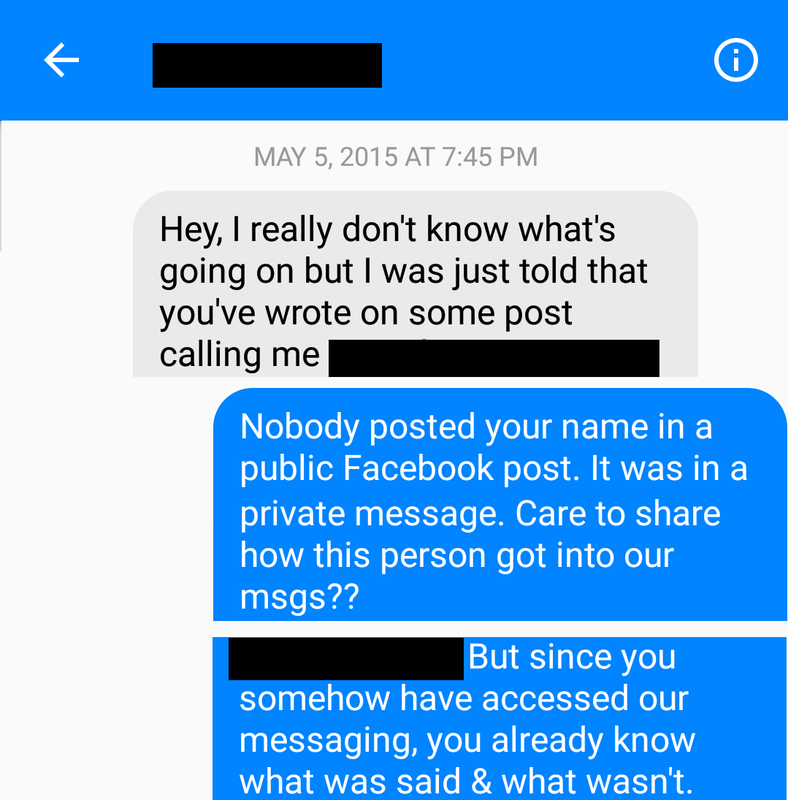 On May 3, 2015, a Facebook user using the name "Travis Hasse" started sending various members of the group screenshots of our group messages. No one knew who this "person" was. The "Travis Hasse" profile no longer exists, and so any former communications from him would now be seen as from "Facebook User". Here is one message from him that I received. It was a portion of our conversations where we were working to find out who may have been involved in various acts of corruption and abuse of power. I want to stress again, that this was a direct copy of a private message thread. Names and other sensitive details have been blacked out. Soon after learning we had been hacked (exactly how and by whom is still unknown), TAC member Joe Liggett was told that Arnold was trying to have Joe and myself investigated by the FBI. Shortly after, I received a phone call from Daily News Journal reporter Scott Broden, asking me if I knew that I was "under investigation" and if I knew why. He said that it was alleged that I had actually hacked into the Rutherford County Sheriff's Office website. I told him I didn't do it, nor did I have the knowledge to do something like that. Joe Liggett said that on top of knowing about the group's messages being hacked, that he was followed at times, and "I wasn't safe and I took measures to ensure my well-being. I didn't let it discourage any of my efforts to help remove corruption from positions of authority." The "investigation story" apparently got around. I was wearing one of TAC's "Oust Sheriff Arnold" t-shirts while at a store, when Joe Russell's wife (Nicole Lester) came up to me (apparently not know I was this "Jacob" person) and started telling me all about it - how he (me) had hacked into the website, was under investigation, and so forth. Other people connected with the Sheriff's Office were also involved in spreading the "investigation" story and talking about having information, names, conversations, etc. relating to TAC. Out of respect for the privacy of the other person who had this conversation (screenshot below) with TAC member Adam Williams, I will call them "Person A". From this conversation it became clear that Person A and others had been receiving information that was taken from the content of the private TAC discussions, which adds further evidence of a hack. To protect possibly sensitive information, I have blacked out/removed portions of what was a very long conversation for publication, but I have left the relevant parts visible. Screen shot of conversation from Person A to Adam Williams. "At the time, we were still in our developmental stages as an organization, so discovering this violation of our Fourth Amendment protected rights against unreasonable searches had the potential to break us apart, and in my opinion, that’s what these actions were designed to do, to scare us away from pursuing action against Sheriff Arnold." Gann continues, "What they ended up accomplishing though, was solidifying our resolve even further. We asked ourselves one simple question, if they were willing to violate our rights in this manner, what else were they willing to do? At that moment, we knew we had to see what we started through to completion, and we did. I couldn’t be more proud to work alongside a group of people as courageous as my fellow TAC members." 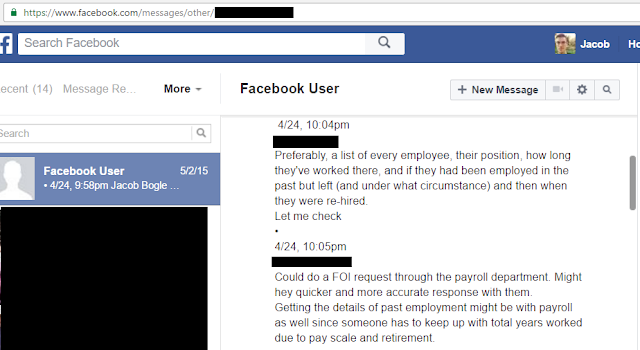 The breach of our Facebook communications and the "investigation" against us may be connected, as law enforcement routinely gains access to Facebook users' information and communications, as police only have to claim wrongdoing on the part of the person(s) being looked at. Did Arnold direct his conspirators to abuse their power and get our conversations via "legitimate" channels? Or were they actually hacking accounts while claiming we were doing the real hacking? Other people beyond those in TAC Robert Arnold saw as enemies have also been the subject of harassment and intimidation. 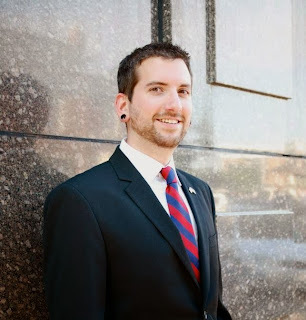 Resident Axl David has been a local political activist for several years. 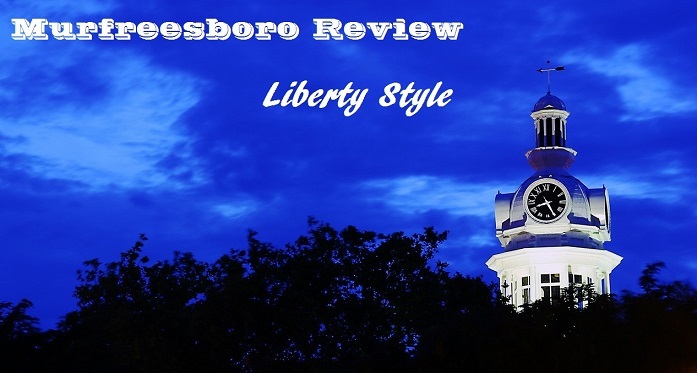 He was involved in pushing back against inconsistencies in the official story regarding the 2013 Fourth of July video, and he was a candidate for Murfreesboro City Council. While Axl had been under investigation for a crime to which he later entered a provisional plea, he was also the subject of unwarranted harassment. Additionally, Deputy Pagel had shown Axl's Facebook account to people who weren't law enforcement while in his office, further showing his disregard for protocol and privacy rights. Axl sent me the following narrative of what he experienced. "It started out receiving phone calls late at night while I was at work from a local number. When I went to call the number, it would go straight to 911 dispatch. I was told by dispatchers that then-Sheriff Arnold wanted to speak to me via the recorded emergency line. He would aggressively try to get me to let him come into my house, saying he wanted to talk about the recent checkpoints (that I recorded). I adamantly refused. He wouldn't give up, and I eventually tried to get him to meet me at a gas station. He said he would only do it inside my house. I ended the conversation, and over the course of several nights he would come to my house and knock on all the doors, then leave his business card in the door jamb. He started leaving voicemails saying he knew I was home because my car was in the driveway, and he would keep coming over until I let him inside. My roommate and I had to start parking our cars several blocks away until he gave up. This was in the month leading up to his primary election. I also began receiving messages via Facebook, text, email, etc. from unknown or fake profiles. The messages contained highly personal information that could only be obtained through a subpoena." The past few years have proven that concerned citizens really can make a positive difference in their community, and that so long as justice is on your side, no amount of harassment or intimidation can prevail. Allegations against Deputy Nathan Pagel reveal how far dishonest people will go to hide their activities and try to silence those working to do the right thing. It's up to everyone to help ensure this kind of behavior never again threatens the safety and peace of our county and state.